I started running a little less than two years ago with the goal of “getting fit”. I never had speed goals, couldn’t tell you what a “PR” was, and the thought of running long races (or a race at all) petrified me. I remember my first race like it was yesterday. It was the More/Fitness Half Marathon in April 2014 in Central Park. I entered because I had just gotten out of a long relationship, embraced girl power, and felt I had something to prove. 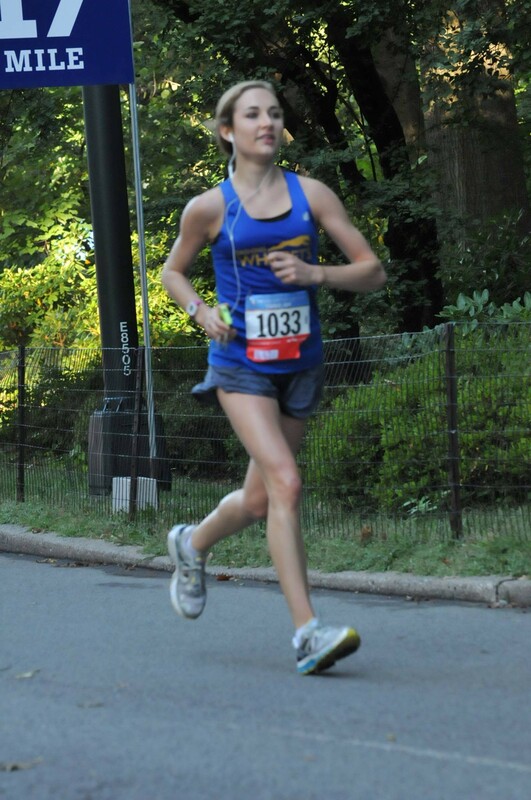 Despite the fact that my feet were pronated and I had scoliosis, I believed it was finally time to run an NYRR race. I wanted to join a community, and the New York running community opened its arms. I had run the 13.1 mile distance before, but I was thrilled to finish my first race ever in 1:45. An 8:05 pace seemed awesome to me, and the thought of me speeding up was the last thing on my mind. I became a race addict shortly after that race, and I signed up for a full marathon the following fall. I ran more races with the NYRR so that I could qualify for the 2015 New York Marathon, and by training for those races, I became a tad faster. I joined the DWRT to make new friends and become a faster runner. While my times were improving slightly, I wanted to get more out of my body and performance. Revolution in Motion NYC embraced me as a sponsored athlete last July, and I trained with them intensely for all of the races I’d entered for the year. I originally only visited RevInMo to receive nutritional counsel from Dr. Edythe Heus, chiropractor and trainer for some of the best athletes in the world. She helped me follow a diet that worked so well that I overcame an eating disorder I battled over the years. 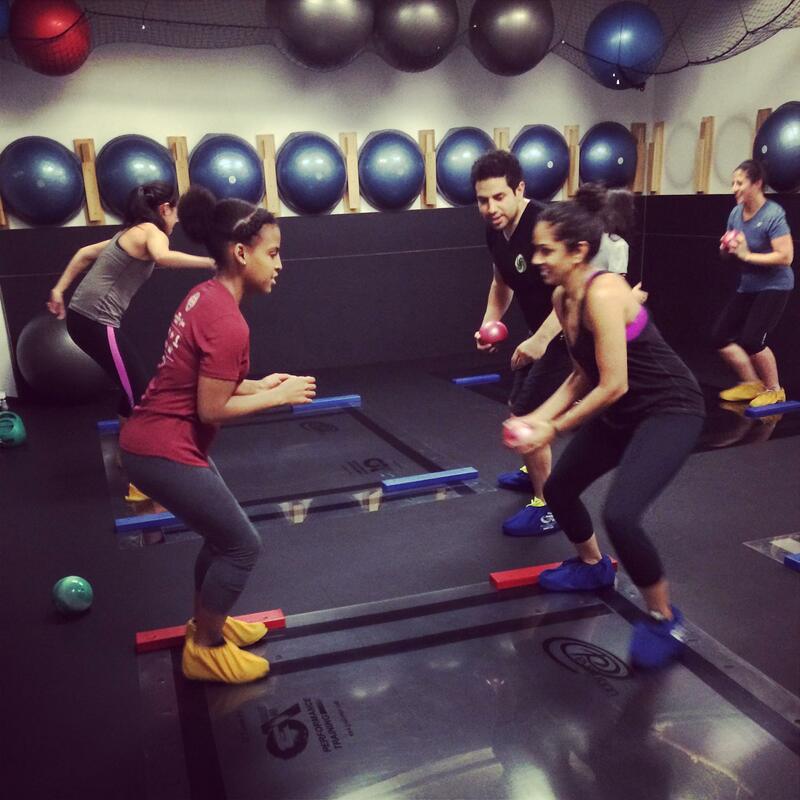 My trainers at RevInMo, Alex and Johnny, generously dedicated their time through group classes and private sessions with me. Through some fun (and rigorous) training, the pronation in my feel started to disappear and my posture improved through spinal lengthening exercises that practically remedied my scoliosis. As someone who spent 5 years in orthotics, this felt awesome! I started running with more upright posture and my times were improving as I ran with a better connection to my feet and core. If you want specifics, my 8:05 pace turned into a 6:49 pace in only a few months. Thanks to RevInMo, my orthotics are a thing of the past, and I am more in touch my body and nutrition (as a runner) than ever before. As an athlete, I faced an inevitable injury (due to low bone density in my family), which sidelined me for the marathon I trained for. However, the RevInMo team has been there for me 100 percent, ensuring I take the necessary steps to fast track my recovery. The trainers and staff at Revolution in Motion really care and are more knowledgeable about athletes’ bodies than anyone I’ve ever met. They taught me how to train smart and find a “zen” of running, so to speak. I feel like many runners only focus on covering as much mileage as possible without looking at their overall health as athletes. RevInMo helped me see the bigger picture so that I can recover faster, run longer, and run many marathons in the years to come.